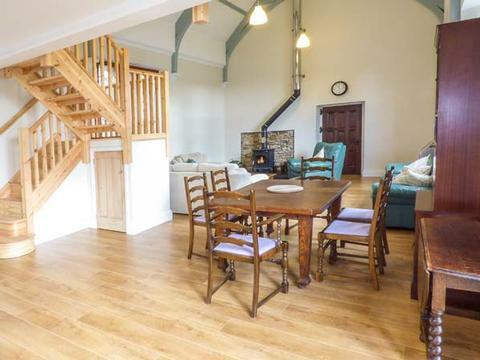 This lovely stone cottage is set in the sleepy village of Spittal, near Haverfordwest, and can sleep nine people in four bedrooms, two doubles a twin and a family room with a double and a 2'6" single. 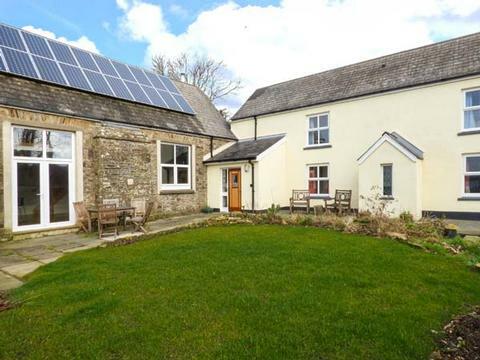 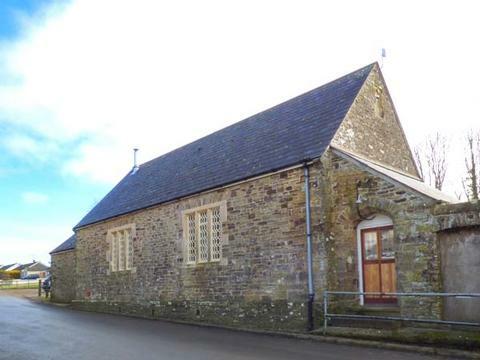 School House is a lovely stone cottage set in the sleepy village of Spittal, near Haverfordwest, and can sleep 9 people. 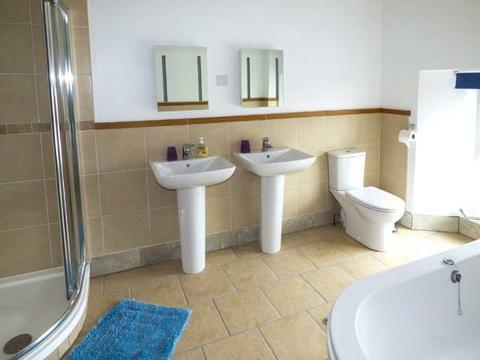 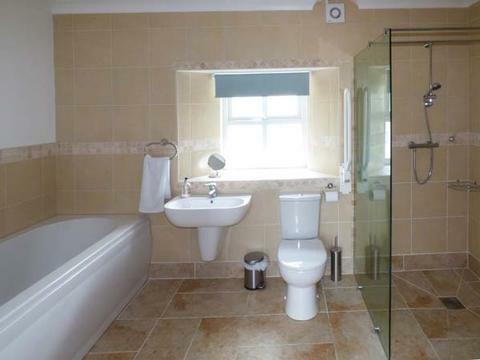 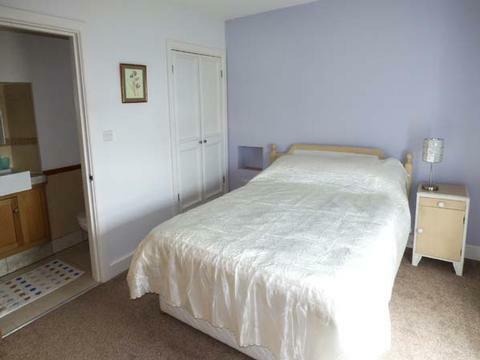 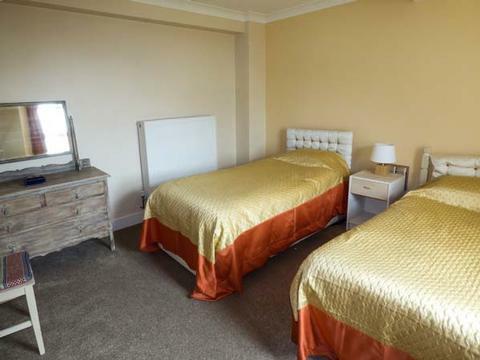 There is a double bedroom with an en-suite bathroom, a double bedroom with an en-suite shower room, a ground floor family room with a double bed and a small single and a ground floor twin bedroom, as well as a ground floor bathroom. 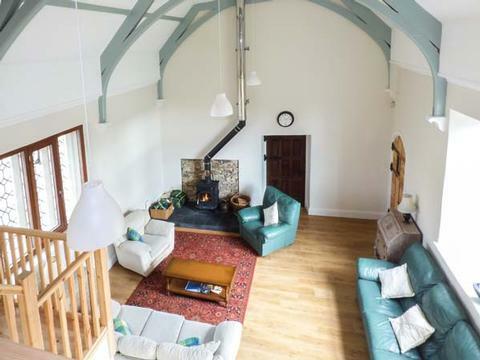 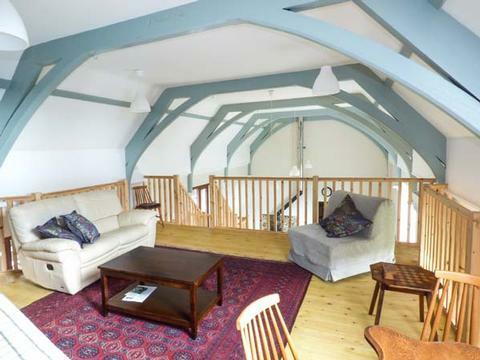 The cottage also has a large open plan living area with well-equipped fitted kitchen, dining area, breakfast bar and comfortable sitting area with a multi-fuel stove, and a mezzanine with seating and a table with chairs. 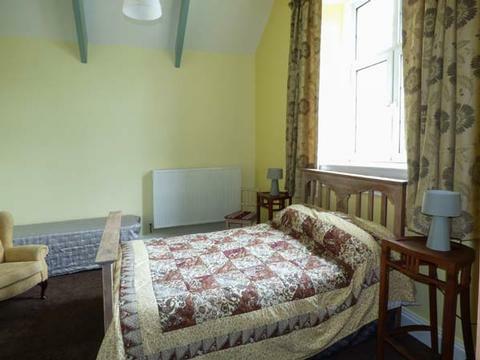 Outside there is off road parking for two cars, plus a free of charge car park adjacent to the property and an enclosed rear lawned garden with patio, furniture and barbecue. 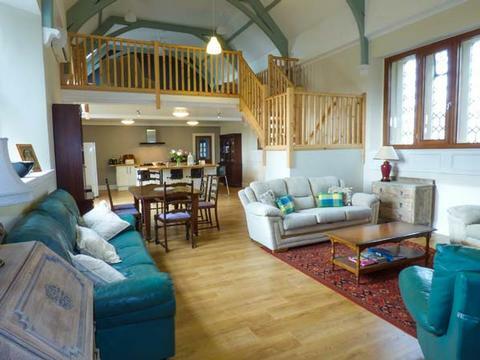 School House is a lovely holiday base for families. 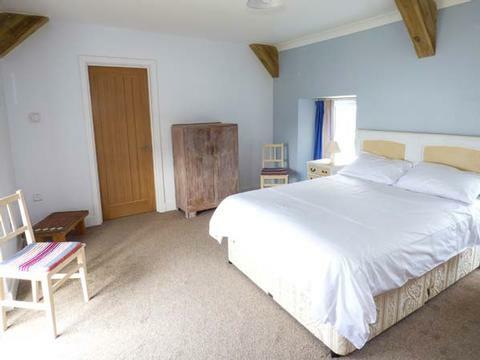 Spittal, halfway between Haverfordwest and Fishguard, just off the A40 is a quiet village, which boasts a friendly village pub, The Pump on the Green, where you can have a chat with the locals and enjoy a drink and good food of restaurant quality. 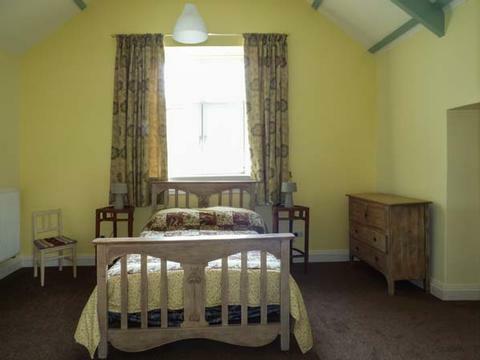 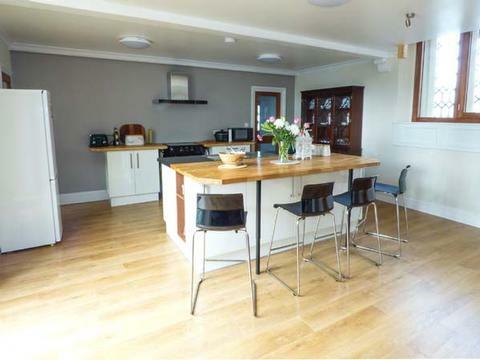 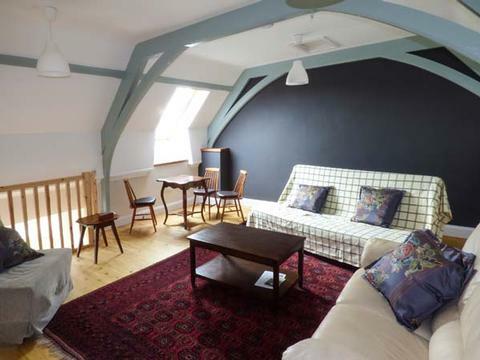 Contact School House Self Catering Cottage Spittal Wales > for Enquiries and Availability.